May 25 kicks off Memorial Day weekend, which officially kicks off summer 2018! 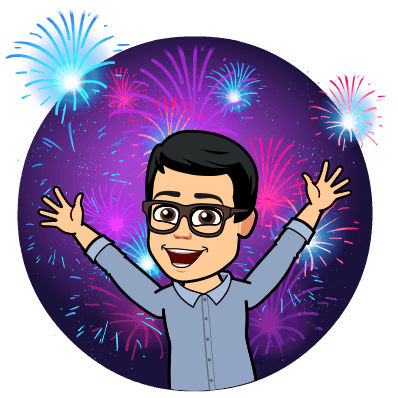 To commemorate the occasion, Jake’s Take is revealing its hot summer list! Here are the 12 events that will shake up the pop culture world this summer. Movie fans will return to a Galaxy Far, Far Away on May 25! Solo: A Star Wars Story will showcase the misadventures of a young Han Solo (Alden Ehrenreich) and Chewbacca. The film is expected to showcase the smuggler’s first adventures aboard the Millennium Falcon and when he first met Lando Calrissian (Donald Glover). America’s Got Talent is back! 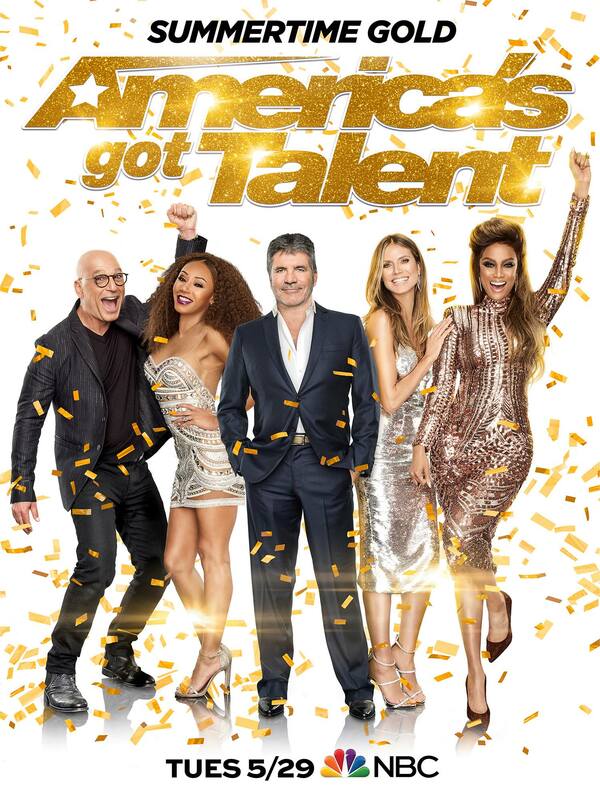 Simon Cowell, Heidi Klum, Mel B, and Howie Mandel are back to find the best-undiscovered talent in the country. The Golden Buzzer is also making a grand return, which will give nine different acts a chance to go directly to the Dolby Theatre live shows for a chance to compete for the show’s $1,000,000 prize! Tyra Banks will return for her sophomore season as the series’ host. 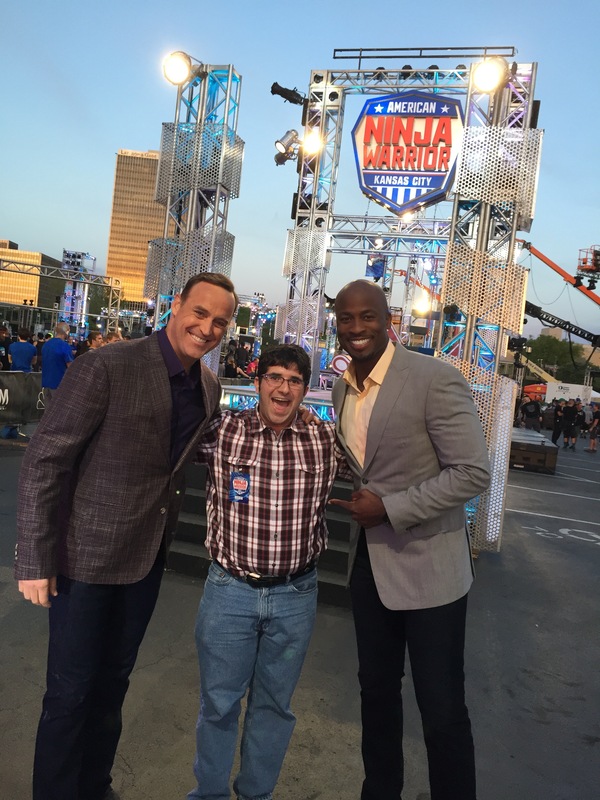 American Ninja Warrior is celebrating its tenth anniversary season! The sports competition show has inspired thousands of people to get in shape and brought hope to audiences across the country. The show also introduced us to impeccable athletes such as Drew Dreschel, Lance Pekus, Grant McCartney, Joe Moravsky, Maggie Thorne, Meghan Martin, and Jessie Graff. Matt Iseman and Akbar Gbaja-Biamila will provide commentary this season, while Kristine Leahy will report from the sidelines. One of my favorite writers in the comic book industry will take on DC Comics’ top superhero teams. After delivering blockbuster storylines for Batman, Superman, and Swamp Thing, Scott Snyder relaunches a new Justice League title. 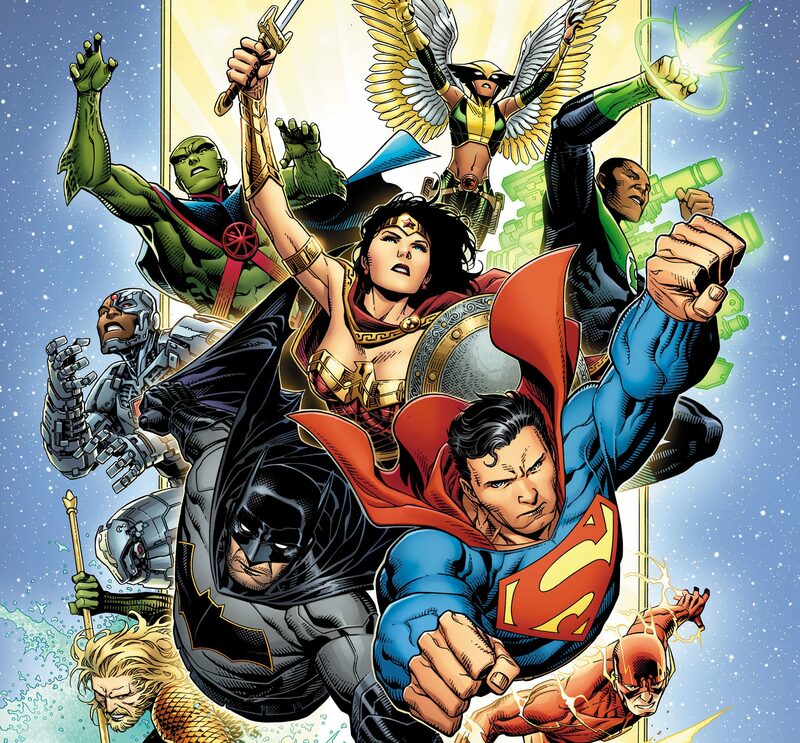 Several fan-favorite heroes such as Green Lantern (John Stewart), Hawkgirl, and Martian Manhunter will rejoin the team for the first time in years! Sandra Bullock’s Debbie Ocean is planning the ultimate heist! She is seeking to steal an item from the Metropolitan Museum of Art during the New York City museum’s most prominent event: The Met Ball. To seize this item, she rallied an ambitious group of women to pull off the heist. The film will star an all-star cast that includes Cate Blanchett, Rihanna, Helena Bonham Carter, Anne Hathaway, and James Corden. It has been six years since Christina Aguilera dropped a studio album. On June 15, the former Voice coach will release her eighth record, Liberation. It is expected to feature 15 tracks that include “Accelerate,” a collaboration with Ty Dolla $ign and 2 Chainz, and “Fall in Line,” an outstanding duet with Demi Lovato. Other high-profile collaborators that wrote or produced songs on this project include Jon Bellion, Julia Michaels, Mike Dean, Ricky Reed, and Kanye West. Aguilera will also go on her first nationwide tour in 11 years to promote the album! 14 years after the original film hit the box office, The Incredibles are back for a sequel! This time around, the Parr Family (voiced by Holly Hunter, Craig T. Nelson, Sarah Vowell, and Huck Milner) is expected to be divided as Elastigirl (Hunter) is assigned to kickstart a campaign to bring back superheroes, while Mr. Incredible (Nelson) must raise the kids. Both Samuel L. Jackson and Brad Bird, the film’s writer-director are expected to reprise their respective roles as Frozone and fashionista Edna Mode. Legendary X-Men super couple Colossus and Kitty Pryde will finally tie the knot! The on-again, off-again couple whose love story captivated generations of fans since the 1980s are expected to become husband and wife. The wedding is scheduled to take place in the pages of X-Men: Gold issue 30. Australian pop rock band 5 Seconds of Summer (Luke Hemmings, Calum Hood, Ashton Irwin, and Michael Clifford) will release its third album, Youngblood. From the sound of “Youngblood” and “Want You Back,” this album is going to be amazing! The guys teamed up with a superb group of songwriters and producers including Nolan Lambroza, Julia Michaels, Justin Tranter, Wayne Hector, Rami Yacoub, and the Monsters and the Strangerz. Singer-songwriter Bebe Rexha has been making a name for herself in the music industry. She grew a fanbase with her epic hits such as “In the Name of Love,” “Me, Myself, & I,” and “The Way I Are (Dance with Somebody).” There are a lot of expectations for this album, and so far, Rexha released “Ferrari,” “2 Souls on Fire” (a collaboration with Quavo), and “Meant to Be” (a collaboration with Florida Georgia Line). For 78 years, Batman (Bruce Wayne) and Catwoman (Selina Kyle) have either fought as adversaries or saved the world as close allies. Many fans consider them to be one of DC Entertainment’s top super couples. In Batman issue 50, writer Tom King and an all-star group of artists such as Joelle Jones, David Finch, Andy Kubert, Jose Luis Garcia-Lopez, Lee Bermejo, and Frank Miller will publish the long-awaited wedding! 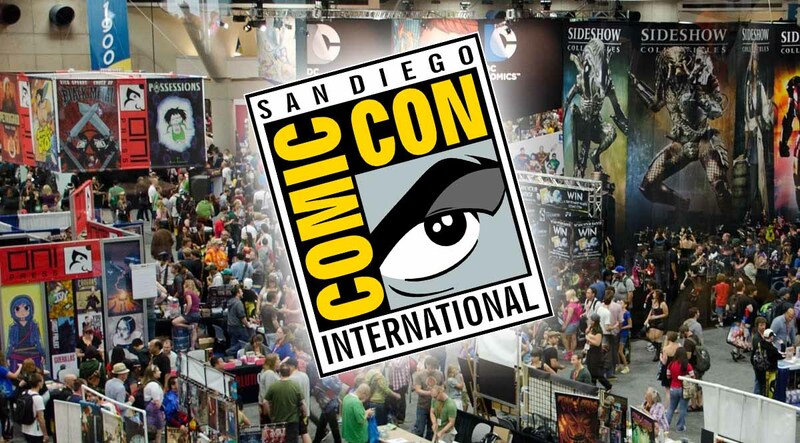 San Diego Comic-Con is the biggest summer pop culture party! Hundreds of thousands of fans will celebrate films, television shows, comics, and video games. It is expected that multiple companies that will exhibit at the convention will announce exciting projects such as comic book series, upcoming movies, television shows, and previews of the hottest video games.